Millennials in a suitable work habitat at AIREA STUDIO in Detroit. Photo by Jason Keen. Will you be in the D.C.-area on Tuesday, March 24? In collaboration with the Design Leadership Council, we invite you to join us for networking and a lively panel discussion during our next Work Design TALK at SmithGroup JJR‘s recently completed office! Tickets are available here. The topic is “Real Talk About Millennials in the Workplace,” and we are pleased to welcome an all-millennial panel to address how the millennial mindset is changing the workplace, ideas for more millennial-friendly workplaces, and whether or not millennials are really that different from other generations. Caroline joined CBRE in 2012 as a member of the firm’s Wheel Program, and since has worked with one of the top multidisciplinary brokerage teams in the Washington, D.C. region. She has been involved in a diverse range of transactions including tenant representation, landlord leasing, and institutional investment sales providing a broad perspective on the market. Caroline grew up in Loudoun County, Va. and graduated from the University of Virginia’s McIntire School of Commerce. Michael is a commercial real estate specialist for the Economic Development Office of Arlington County, Va. He is responsible for the recruitment and retention of businesses and specializes in incentive negotiations and strategic planning for high-growth medium and large companies. Prior to joining Arlington, Michael was consulting for future oriented real estate organizations in NYC and D.C., after having spent five years as a commercial real estate broker in the D.C.-metro region. He earned a bachelor’s degree in economics from Villanova University and studied for his masters in real estate finance at Georgetown University. Laura was raised in the Basque Country of southwest France. In 2009, she moved to Arlington, Va. to attend university with intentions of becoming an interior designer—architecture and interior design having been aspirations of hers from a young age. She graduated from Marymount University in May 2014 and has been working for BBGM since January 2014. Marie is a project designer at FOX Architects. In her work, she focuses on what best connects a client to their space, paying particular attention to how the space reflects the values and culture of their organization. A graduate of Virginia Tech (B.Arch 2012), she was drawn to architecture at an early age (which she attributes to inheriting the best traits from her artist mother and engineer father) and is certain it’s what she was meant to do. An atypical millennial, she particularly enjoys finding herself unreachable at times, but does relate to her generation’s sense of idealism and collaborative professional nature. Anne graduated from Marymount University in 2005 with a Bachelor’s of Arts in Interior Design. While in school at Marymount, she interned at DBI Architects and started full time in July of 2005 and has moved up the ranks to her current position as a senior manager in the D.C. office. DBI Architects, Inc. is a locally owned interior design and base building architecture firm, focusing mainly on commercial design out of two offices, one in D.C. and one in Reston, Va. Anne works on all phases of each project from test fits, programming, design development, construction drawings, furniture selection and coordination and construction administration. Carl runs and manages all D.C. operations for WeWork, a NYC-based startup that specializes in curated co-working spaces that recently made headlines with its $5 billion valuation. WeWork currently has over 20,000 members using its 30+ locations around the world. 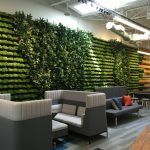 D.C. has three WeWork locations so far with plans to open more buildings, and has members ranging from early-stage startups to bigger corporate entities like GILT and Red Bull. Carl has been involved with tech and startups since he graduated from the University of Virginia in 2010, and before joining WeWork he was a tech writer and reporter in D.C.
We’ll be making tacos with District Taco and we’ll have an open bar. Get your tickets now to snag your seat! A special thank you to our event sponsors! The year's most popular expert insights.